CLOSEOUTS. 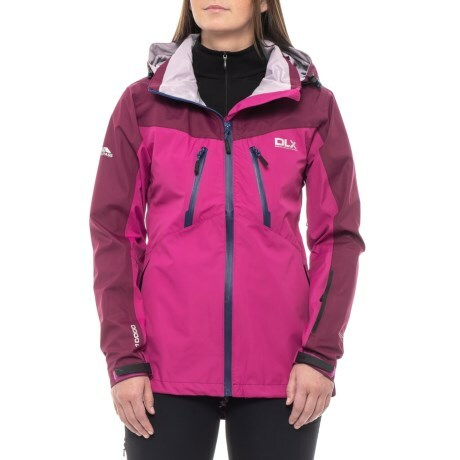 This Trespass Calissa DLX jacket offers superior waterproof protection in extreme conditions; wear it over a fleece for added warmth. Available Colors: AZALEA, NAVY TONE, WHITE. Sizes: 2XS, XS, S, M, L, XL, 2XL.